Cologne (Germany) (AFP) - Several thousand people marched Saturday through the western German city of Cologne in protest at continued Turkish air strikes against Kurdish separatists. Some 5,000 people demonstrators gathered in the centre of the city, police said, with organisers hoping that more of the region's substantial Kurdish and Turkish populations more would join them later. Another much smaller protest was held in Brussels. The rallies were called by an alliance of pro-Kurdish groups to say "No to the war", after the two weeks of Turkish air raids on Kurdish separatist targets, mostly in northern Iraq. The outlawed Kurdistan Workers' Party (PKK) has struck back killing at least 20 members of the Turkish security forces. 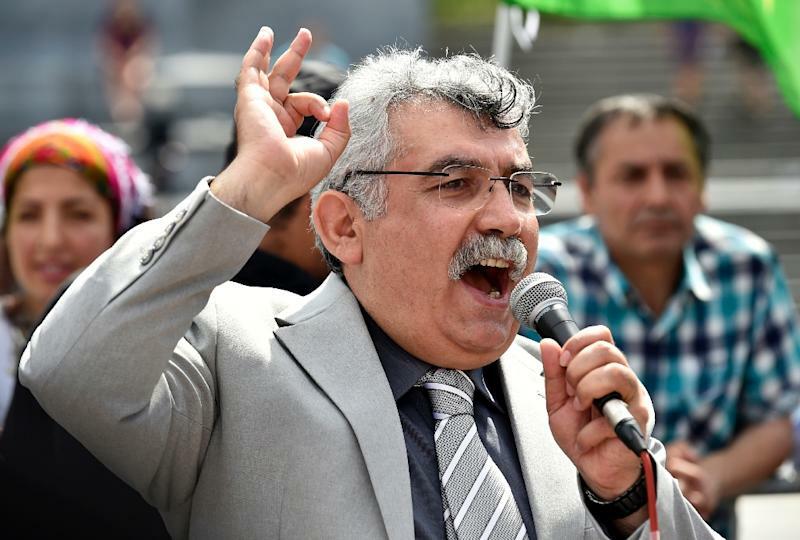 March organiser Zubeyir Aydar of the Kurdistan Communities Union (KCK) -- which Ankara claims is the PKK's political wing -- accused Turkish President Recep Tayyip Erdogan of breaking a truce with separatists which had held since 2013. German Foreign Frank-Walter Steinmeier meanwhile told the Rheinische Post daily Saturday that it "would be regrettable that Turkey's national peace process should go to the wall because of regional conflicts in the Middle East." Turkey's main Kurdish political leader Selahattin Demirtas accused Ankara on Thursday of using air strikes against the Islamic State group as a cover to hit the PKK and to weaken his Kurdish Peoples' Democratic Party's (HDP), which made major gains in parliamentary elections in June.